The next leg of our trip was a 4-night/3-day stay stay near Glencoe with the British non-profit hiking vacation outfit, HF Holidays. 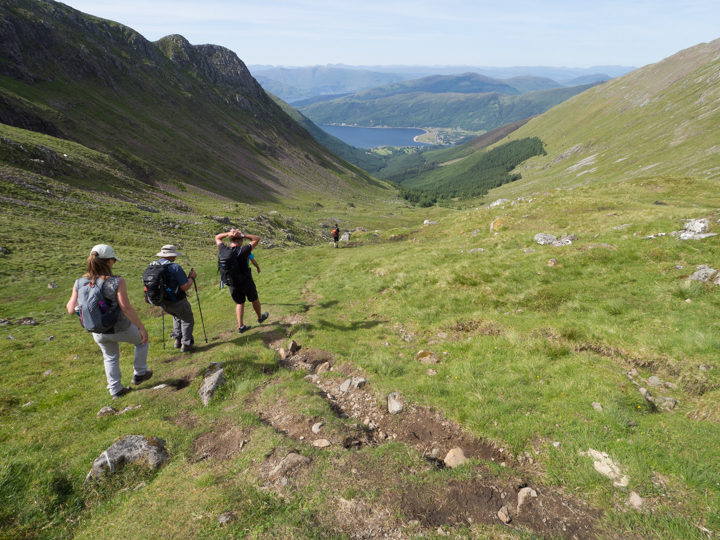 Our tour was HF Holidays Guided Walking Alltschellach, North Ballachulish, generally known to offer the most difficult hiking of HF Holiday’s British Isles trips. To arrive from the Kintyre Peninsula, we drove through the Glencoe Valley alongside the West Highland Way to Alltschellach, a country home owned by HF Holidays. Everything at Alltschellach is included in the price except for alcohol, which is very reasonable to purchase (there’s a full bar/pub in the house!) We found the price to be really quite reasonable; HF Holidays is after all a non-profit. HF Holidays offers hikes each day at 3 different levels. So if you’re traveling with someone at a different level from you, no problem. You can each hike at your own level and meet back up for dinner. I was a bit worried the advanced-level hikes wouldn’t be that advanced, but they definitely were. Very challenging! And incredible scenery. It was also really nice to meet and spend a few days with other hikers and get pampered a bit as everything is included. The walk in a nutshell: Cross the Corran ferry to walk in the mountains of the Ardgour Peninsula. Our route takes us past Maclean’s Towel waterfall then around the ridge onto the summit of Sgurr na h-Eanchainne. DAY 3: Ben Nevis, the tallest mountain in the British Isles. The walk in a nutshell: Our objective today is the summit of Ben Nevis, Britain’s highest mountain. 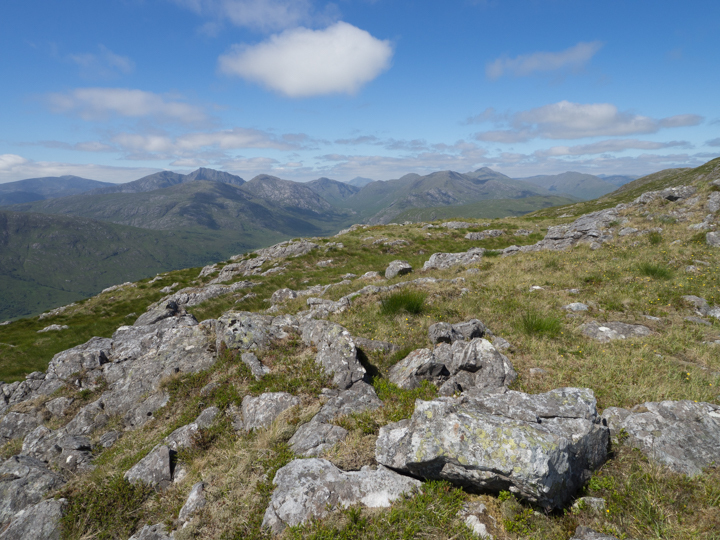 Starting from Glen Nevis we follow the Pony Track which zig-zags up to the summit plateau. We return by the same route. It’s very difficult to hike in Scotland on your own. Especially if you’re a more advanced hiker, you will miss out on many outstanding hiking opportunities as there are very few marked trails. You really need a guide who can take you literally off the beaten path. Next week, the Isle of Skye!